There really is not much similarity between InsightSquared and Tableau. InsightSquared is a cloud service providing sales reporting functionality and with little facility to create bespoke reports. It is mainly used by medium and small businesses to satisfy their sales reporting needs, and is specifically constrained to this function. 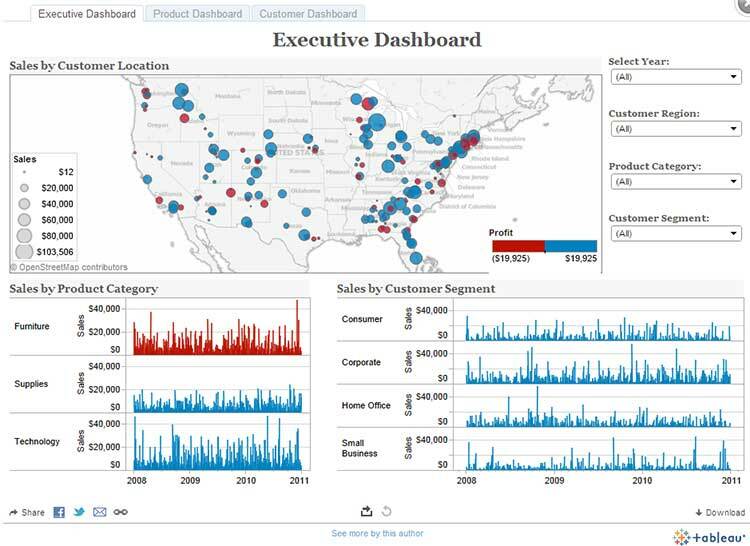 Tableau on the other hand is a general purpose visual analytics platform, available both in the cloud and as an on-premises platform – the most usual case. 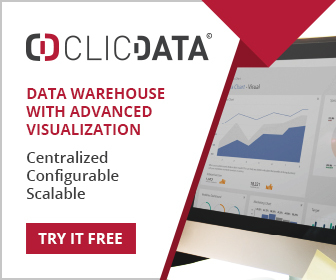 Businesses use Tableau for application ranging from data exploration through to plotting location based data – as well as the usual charts, reports and dashboards. Medium and small organizations wanting a comprehensive sales reporting platform should choose InsightSquared, whereas those needing a visual analytics platform for broader use should choose Tableau. Full review of InsightSquared can be found here. And a full review of Tableau here. 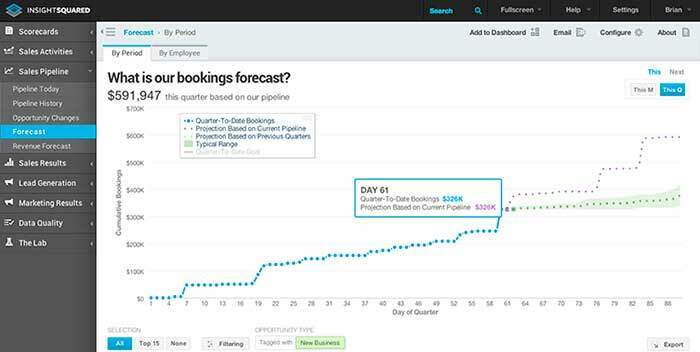 InsightSquared is essentially a sales reporting app implemented as a cloud service. It is not a general purpose BI tool, but provides a large number of sales oriented reports – to the extent that some users find the choice bewildering. It is mainly used by small and medium sized organizations, provides mobile support through a browser based interface, and is compatible with ZenDesk (customer service) , Salesforce (generic CRM solution) and Bullhorn (CRM for recruitment agencies) data. An API is available for those who want to call InsightSquared services from other apps. The main complaint against the product is the long data load times – which can take several hours. It isn’t a low cost solution either, although the sales reporting capability is very broad. The level of customizability is low, so it is relatively difficult to create bespoke reports, charts and dashboards. However most users seem to be happy with the default functionality, and usually do not need additional capability.